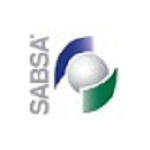 The Institute has released a new stream of publications for members, entitled SABSA at Work. These publications will take the form of case-studies submitted by members of the SABSA community, supplemented with practical publications authored by the Institute. The first instalment is now available for download by members and is titled: Cyber Security – How can SABSA Help your Business? Download now. This is a great start – and I am encouraged to see the clear call for case study submissions. It would be great if David Lynas could encourage some of his most prized examples to put their studies into this, such as those from MZ Omarjee and Malcolm Shore. In evangelising SABSA in my organisation it seems case studies are the most frequently requested thing, to help people visualise how to apply the techniques in the real world. I hope once I get competent enough to have a worthy case study, I can contribute to the body of knowledge. Thanks for your comments David A. You reflect my previous request to David L and others at the SABSA Institute. MZ Omarjee and Malcolm Shore’s case studies were instrumental to bringing SABSA to life during my SABSA training course. In particular, the case studies explained trust modelling in an accessible manner. Trust modelling is an extremely valuable concept that is difficult to explain without good real-life examples. The Business Attributes and the attendant two-way traceability whilst valuable and unique to SABSA, are rather academic concepts to Network Engineers, Technical and Solution Architects without trust modelling. I trust that David L and the SABSA Institute will overcome the confidentiality challenges around the case studies. On a separate note, the text in Figure 1 and 2 in TSI-SW100-Cyber-Security-How-SABSA-Can-Help-Your-Business is a bit of a mess.